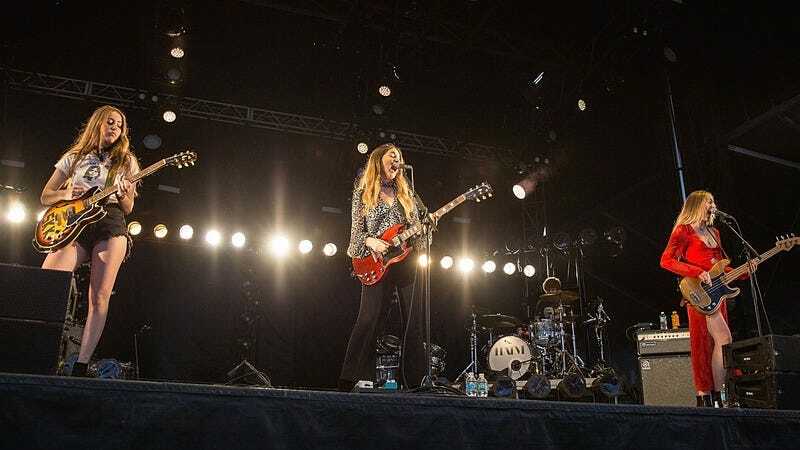 The sisters of Haim haven’t released an album since 2013’s acclaimed Days Are Gone, but that will be changing soon. The sibling trio is now beating the drum quite literally for their return. A video posted on its social media accounts shows Danielle Haim jamming out on percussion. At the end, there’s simply the group’s name along with the date April 27. The full album is reportedly due this summer, so this announcement is probably referring to a single. At least we only have to wait until the end of the month for that.